An anti-abortion group has dropped its challenge of a federal restraining order that keeps them from blocking the entrance to the only clinic still performing abortions in Kentucky. 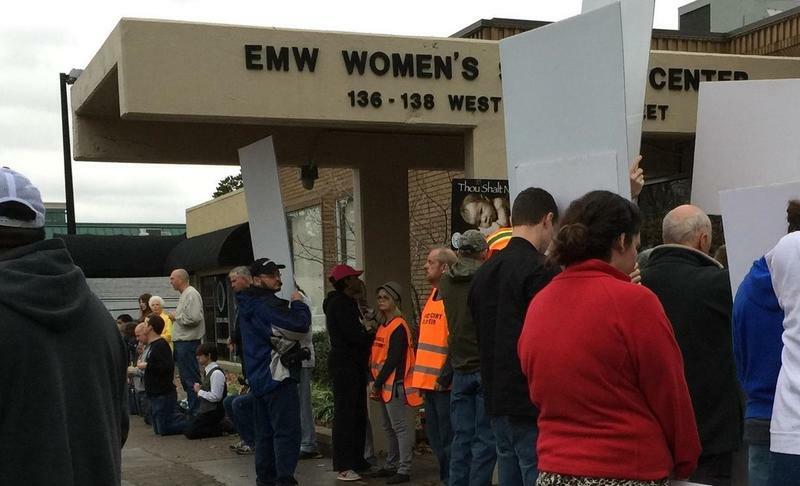 Last week, a federal judge established a buffer zone to prevent protesters from assembling in front of Louisville's EMW Women's Surgical Center. 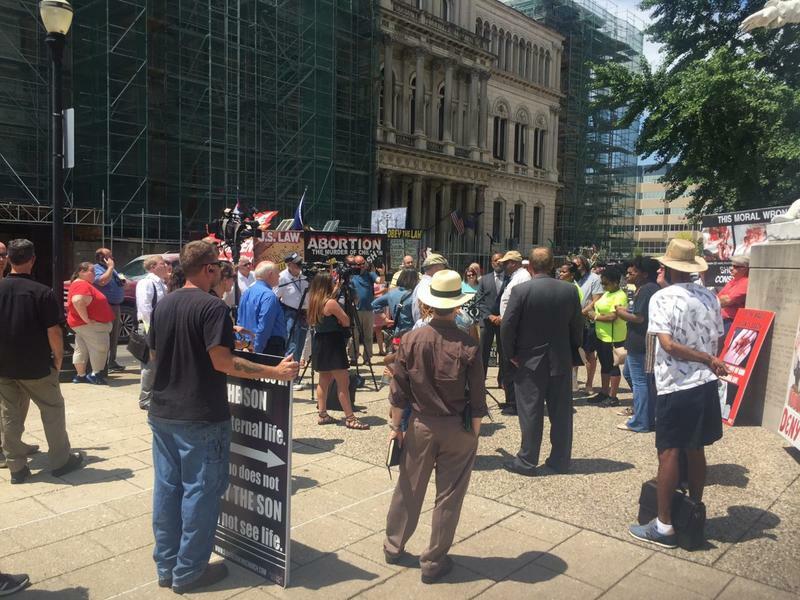 The group Operation Save America is holding anti-abortion protests at the clinic this week as part of its conference in Louisville. Operation Save America had argued that the buffer zone was heavy handed and kept protesters from exercising their free-speech rights. The group has now dropped its challenge and the buffer zone will remain in place through Saturday, the last day of the conference. 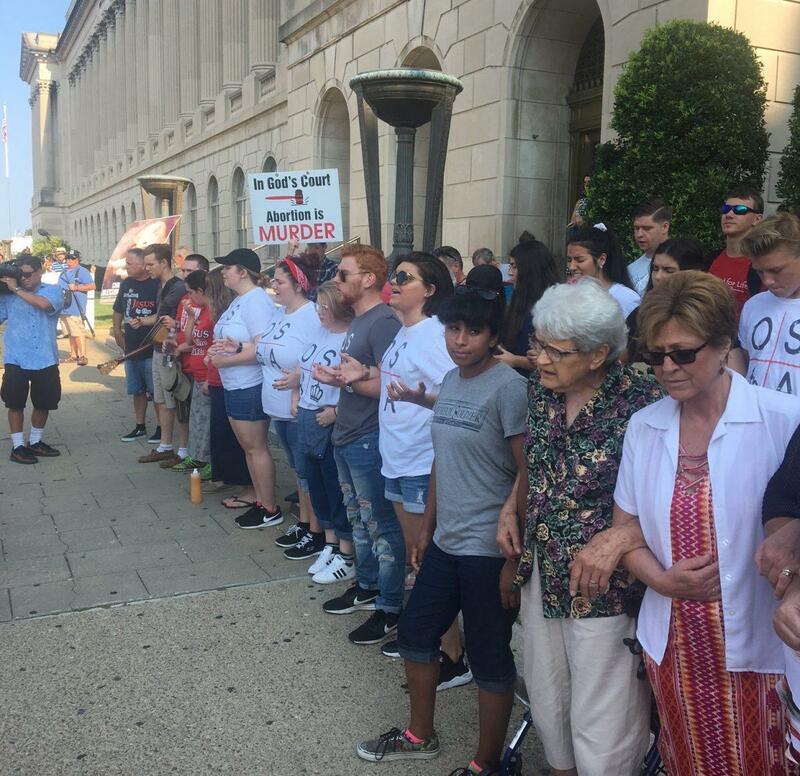 A court hearing on the buffer zone Monday morning drew a crowd of protesters outside the U.S. District courthouse in Louisville, many holding signs or singing Christian hymns. The judge had issued the temporary restraining order on Friday as a pre-emptive move ahead of the demonstrations. The founder of Kentucky’s last abortion clinic said the facility is increasing security ahead of anti-abortion protests that will start Saturday. A buffer zone has been created to keep anti-abortion protesters away from the last-remaining abortion clinic in Kentucky.